Santa Barbara has a fantastic website promoting water conservation in our County. I’ve known about WATER WISE SB for many years but they continue to grow and change, adding valuable tools to their already super website. Recently I found out that they have a section on their site that helps you to ditch your lawn by providing resources like how to choose the right drought tolerant plant for your garden. You can choose by category such as, native or perennial or shrubs. They provide a great LIST. Or you can research lawn alternatives, images of already transformed yards and what a mature garden would look like without that sod are abundant. 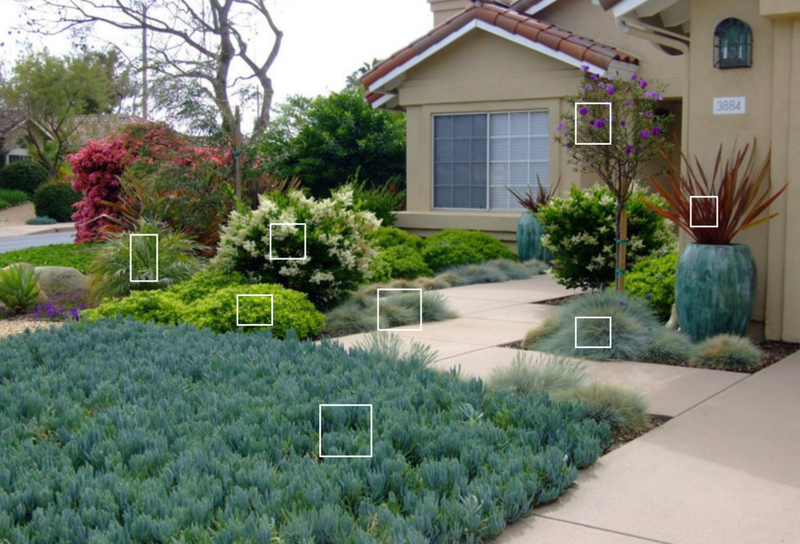 The images even have rollover features to tell you exactly what plant it is your looking at. I love THIS site. One of the best galleries is their garden gallery. If you have a hard time picturing how to plan your new landscaping this gallery shows images of front yards, back yards, parkways, patios, hillsides, raised beds. You get the idea. It’s thorough, it’s inspiring, it makes me want to get myself to the nursery to get some new plants! In my excitement I’m also doing my part in conserving our precious resource, WATER. Outdoor landscaping is responsible for most of our residential water use per month. Changing our yards is a big first step towards helping with our ongoing issue of water. Make sure to stop by WaterWiseSB.org and check out all their fantastic resources.